ORIGINAL STORY: Byron Bay’s annual Splendour In The Grass festival has unveiled its long-awaited lineup for 2018, after months of juicy rumours and hilariously fake lineup posters. 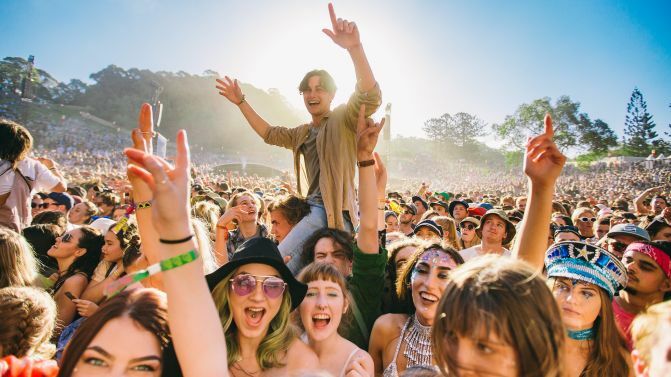 Headlined by Kiwi singer-songwriter Lorde, indie heroes Vampire Weekend and rapper Kendrick Lamar, this year’s Splendour lineup also features the likes of Khalid, The Wombats, CHVRCHES, Miguel, Franz Ferdinand and MGMT, who’ll all perform for Aussie fans in July. A long list of homegrown acts are also featured, including Hilltop Hoods, Angus & Julia Stone, Gang Of Youths and (of course) Dune Rats. Check out the full lineup of over 100 acts, below. Of the 101 acts announced on the lineup today, 43 contain members who identify as female. The lineup also contains the groups responsible for eight of the 10 highest placing songs in triple j‘s Hottest 100 of 2017. Catch all the lineup and ticket details for 2018, below. Chromeo — Chromeo have cancelled their appearance.